I was inspired to write this post after reading “Will a second mortgage clean up all your debts? by Angela Marquis at the Hoyes Michalos blog. My purpose is not to refute Angela’s article, since she makes some excellent points. Rather, I want to add to the discussion and give another perspective to the question – one I feel uniquely qualified to present as both a registered credit counselor and a licensed mortgage agent. 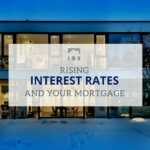 Refinance your home – this is often the cheapest alternative. You replace your current mortgage with a bigger one. Your costs will be legal and appraisal costs; mortgage prepayment penalty; and the ongoing cost of higher monthly payments. Is your credit history respectable? Do you have sufficient qualifying income to service the new mortgage? Sell your home – this may seem drastic but it is an often overlooked strategy. In my experience, homeowners are extremely reluctant to sell the family home – no matter how perilous their circumstances. But if they ignore the obvious for too long, they can end up in foreclosure! Related article: Must keep the house no matter what! Sometimes this is the best alternative, when the numbers speak, rather than emotions. Yes you will have to deal with realtor commissions, legal costs and a possible mortgage prepayment penalty, but if you are consistently living beyond your means it may be time for some reality therapy. First enter into a consumer proposal – A proposal will stop creditors and agencies from hounding you for payments. It will structure all your debts into one simple monthly payment, and it is effectively a zero interest open loan with no set up costs. It also allows you to leave your home financing intact, for the time being. No two proposals are the same. Depending on your income and overall financial net worth, you may end up repaying as little as a third of your debts, or you may end up paying the whole amount, albeit in a stress free, orderly fashion. If your proposal is approved, and you are a homeowner, that is when you might consider a second mortgage. There are costs associated with a second mortgage and the interest rates are pretty high (typically 10 to 12%) So why would this make sense when your proposal has a nice orderly monthly payment and acts like an interest free, open loan? You will also find low rate car leases and financing are not available to you. If you can arrange a car loan at all, you will be shocked at how high the interest rates are. Your credit score will not reach its full potential till three years AFTER you complete your proposal. That could mean a total of eight years credit score purgatory! This is actually longer than for a simple nine month personal bankruptcy. Gareth is a Toronto realtor who neglected to file his income tax returns for a few years. When I met him over a year ago he owed around $178,000 in unsecured debt, over $100,000 of which was to CRA. His condo was worth around $400,000 and he had a $264,000 first mortgage AND an existing second mortgage for $46,000 which his builder had given him. His debt burden was overwhelming and he had become unproductive in his business as he felt there was no way out of this mess. We arranged a new second mortgage for $70,000 and paid off the old one for $46,000. With the proceeds we made a very skinny lump sum consumer proposal. The proposal was challenged at first by CRA and we were invited to meet representatives from CRA to review Gareth’s circumstances in detail. The CRA representatives were very reasonable, decent people, and the trustee and they agreed to move forward with the proposal as they were satisfied Gareth was the real deal, and they truly wanted to give him a second chance, unencumbered by crippling debt. Within a few months of making his proposal, it was completed and paid in full. All Gareth’s debts ($178,000) have been eliminated. For this, he increased his mortgage financing from $310,000 to $336,000. His monthly expenses increased by less than $300. He has already arranged secured credit cards and is rebuilding his credit. And his real estate business is healthy again now that his head and finances are in the right place. Doug is absolutely correct – this was a bit of a fluky result which happened as a result of Gareth’s unique circumstances, some of which are not mentioned in this article. So yes, in the right circumstances, a second mortgage can definitely be the solution to your debt problems. But it’s not for everyone. If you are a homeowner and you feel overwhelmed by debts, I invite you for a free consultation with me to help assess what is the best course of action for you and your family. Ross Taylor is a credit specialist and mortgage agent who blogs frequently at ASKROSS. If you have any questions about anything financial, send him an email at info@askross.ca, he answers everyone. For anyone who feels their credit is in need of repair, accessing a copy of your current credit history is an absolutely necessary first step.